So I wasn't sure where I was going to end up with this weeks 40 Great Nail Art Ideas theme as it is not a colour I'm overly fond of. The colour was red and my prompt was accent nail. I had a few ideas and I was actually super happy with how this mani turned out! I used my one and only red (this really is the only red polish I own!!) which is The Devil Wears Polish from CBL. 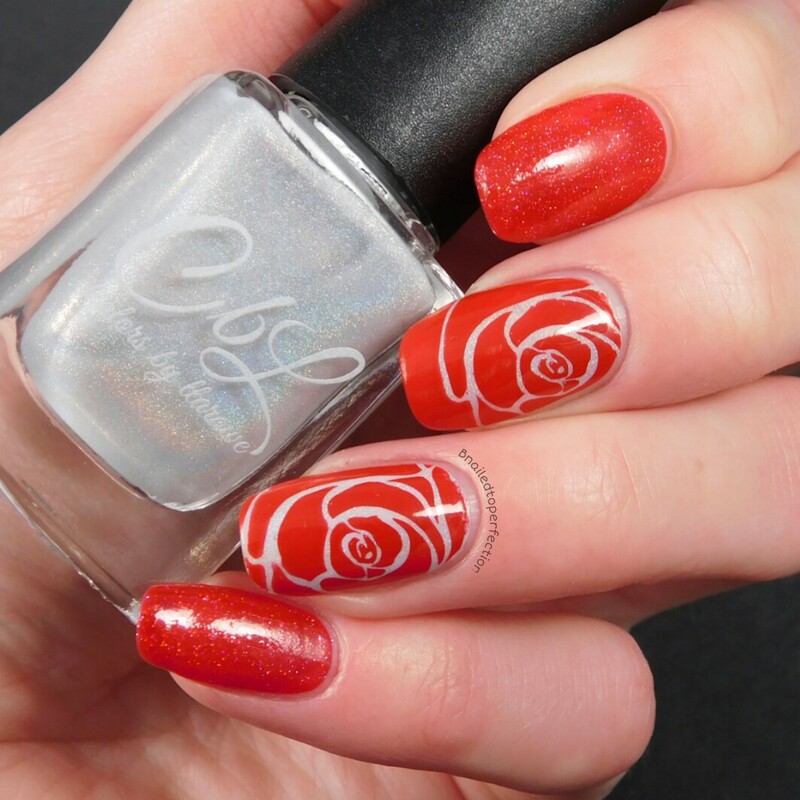 For my accent nails I used Chasing a Unicorn, also from CBL and stamped some beautiful big red roses over them. 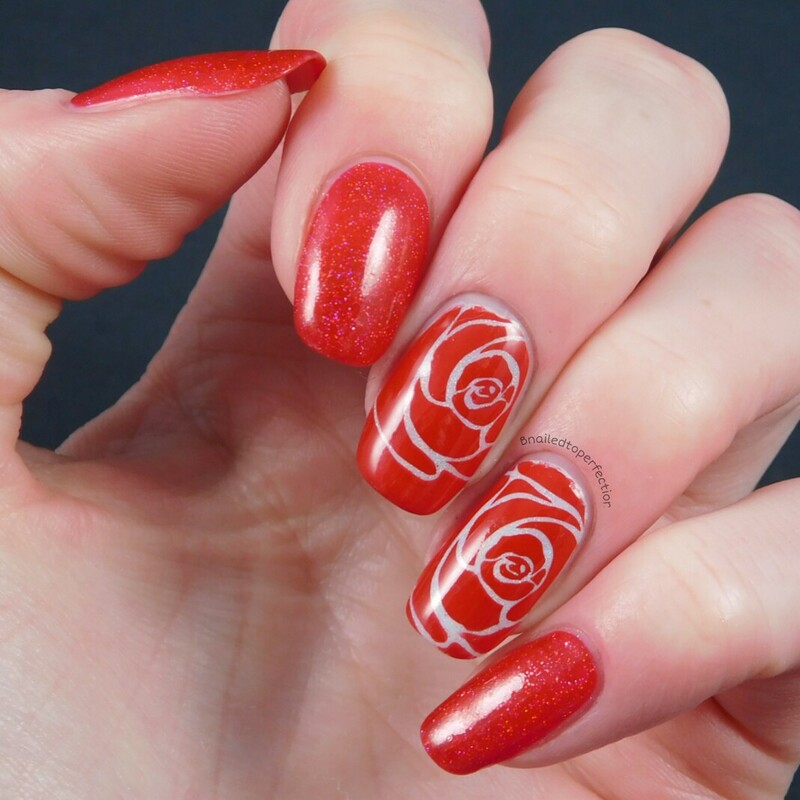 This image is from Uber Chic plate 1-02 and I stamped using Dashica in red. I loved these nails so much that I wore them for almost a full week with minimal tip wear too. I really think I need to add more reds to my collection. What do you think of these nails? Do you have a colour that you don't wear often? 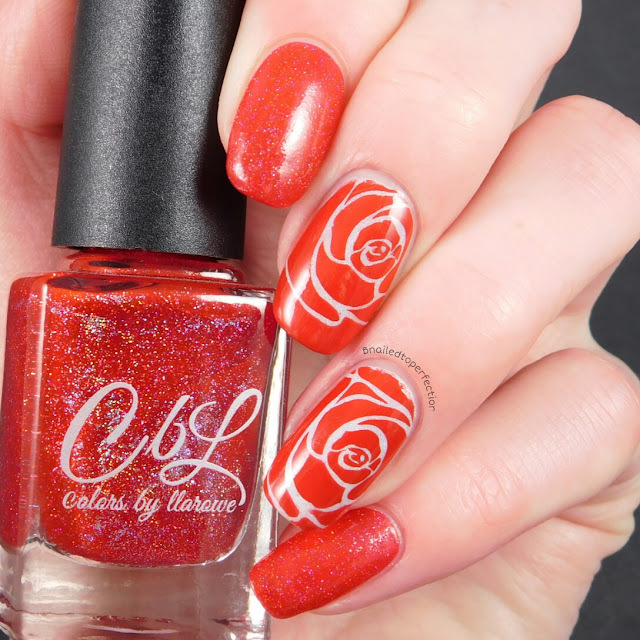 Don't forget to check out all the other awesome red manis from other bloggers below.